Iranian refugees illegally detained in Larnaca and Limassol prisons have been on hunger strike during the past month to protest the egregious violation of their human rights. While the strikes have largely been forced to an end, the detained parents of a child who was illegally taken by the government of Cyprus and given to a local Cypriot family continue – although they have both been hospitalized as a result of the toll the hunger strike has taken on them. Recently we have received inquiries from Czechoslovakia, Norway, and elsewhere asking for documentation on declarations of the Islamic Republic’s intent to prosecute Iranian refugees if they are returned, asking for examples of returned refugees who have been arrested upon return to Iran, and similar information. This information is needed to stop deportartion to Iran at both the level of individual cases as well as at the level of policy. The purpose of this post is to share documents that reflect the Islamic Republic’s intent to prosecute asylum-seekers refouled to Iran. This post will be updated as new articles become available. We welcome additional contributions of documents reflecting regime policy towards returned political refugees, or documentation of cases in which Iranian refugees who have been forcibly returned to Iran have been arrested, detained, tortured, or executed. 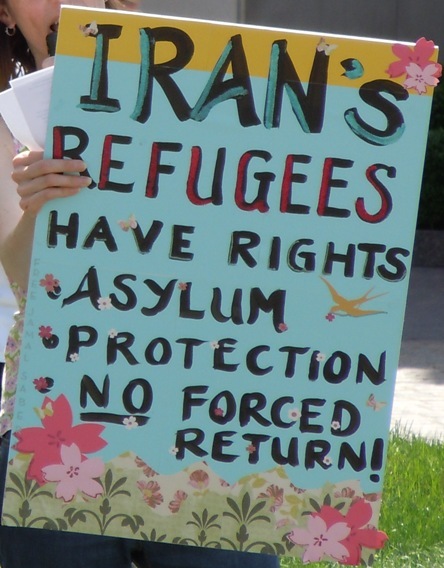 Establishing this literature will help activists and refugee rights organizations make the case that Iranian refugees must not be forcibly returned to Iran. Thus, whatever information is available in this regard is very important. 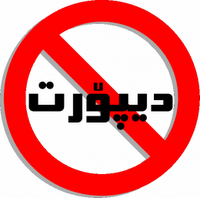 If it is in Farsi, we will arrange for translation. The entire text of articles is reproduced here, in English and Farsi where available. [FARSI below] Hesaam Yousefi is an Iranian political and human rights activist. According to our sources he was arrested during a May 1st demonstration in Kirkuk, Iraq by Kurdistan Regional Government security forces (Asaayesh). On several occasions, he had contacted UNHCR in Solaymaniyah to register as an asylum-seeker without any result – he, like many others, was refused registration with UNHCR.